Each academic year is comprised of thirteen four-week blocks, more than half of which will be spent among our four affiliated emergency departments. 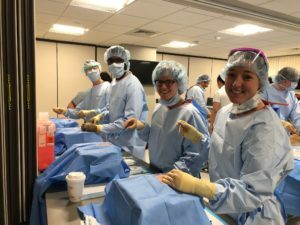 During off-service rotations, residents join the teams of some of the leading medical and surgical services which have been selected from among the best educational experiences available throughout the Harvard Medical School system. Our administrative rotation provides in-depth exposure to quality and safety, emergency department operations and continuous quality improvement programs. 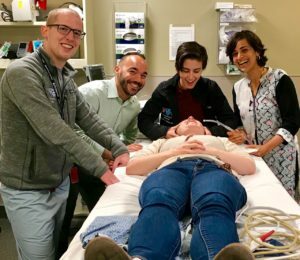 The teaching rotation emphasizes bedside teaching in the emergency department and classroom or simulation teaching to junior emergency medicine residents. 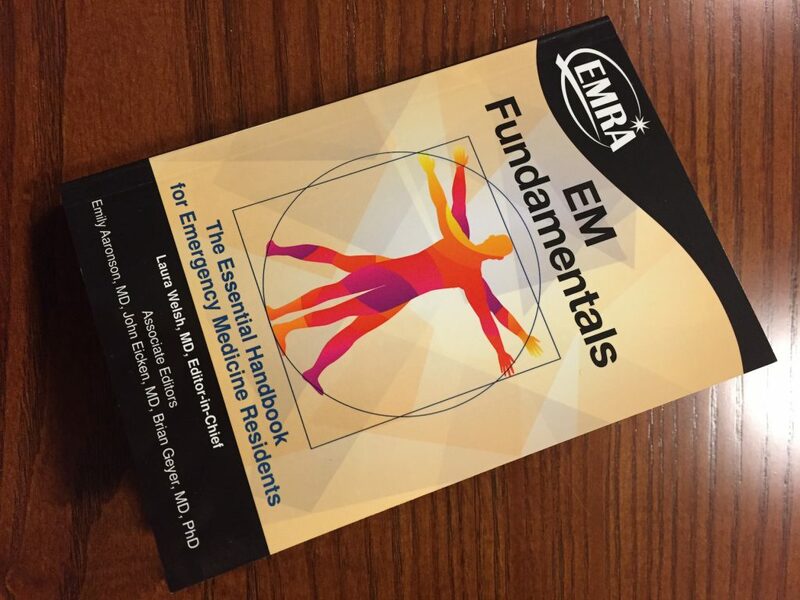 Education in Emergency Medicine (EM) requires the integration of a broad range of medical knowledge into a functional clinical knowledge base. This knowledge base must be sufficient to drive both symptom evaluation and the pursuit of simultaneous diagnostic and therapeutic interventions (1). Five hours of protected conference time are held each week Tuesdays from noon to 5pm. Additional resident reports and intern lectures are held to facilitate small group learning with faculty and PGY-4 teaching residents. The core content of EM is covered by a wide range of learning activities including small group work, primary literature review, seminars, case-based presentations, lectures, procedure labs, and simulations. Residents participate in open, faculty-driven discussions of EM topics in an interactive curriculum that ranges from cardiovascular topics such as ACS, CHF, and arrhythmias every July through EM Administration in June. Particular emphasis is placed on pairing content acquisition through seminars and lectures with hands-on simulations and procedural training in our simulation labs (2). In addition to simulation, residents receive intensive skills training annually in advanced airway management, ultrasound, tube thoracostomy, defibrillation, central line placement and other technical procedures. Seminars in research methodology are held every other month which, in conjunction with our clinical and academic mentorship program, introduce residents to academic pursuits in a variety of settings including clinical EM, public health, global health, operations, and education. To build their individual academic teaching portfolios, all residents will give a rapid fire case presentation in the PGY-1 and PGY-2 years, along with presentations of current top articles in EM during the PGY-1 year. During the PGY-2 year, residents will create and deliver a lecture on a core EM topic of their choice given a theme. In the PGY-3 year, residents will deliver Trauma Case Conferences from either MGH or BWH EDs. In the PGY-4 year, residents lead Morbidity and Mortality Case Conference, develop and present PGY-4 Core Topic presentations given a theme, and Intern workshops to complete their teaching portfolio. Preparation for the American Board of Emergency Medicine certification examination is assured by an in-depth review of written examinations including the annual national in-service examination and oral board case simulations. Simulation offers a rich, risk-free environment for residents to learn clinical emergency medicine under the direct supervision of expert attending faculty. Rather than passively hearing new knowledge, residents are able to use newly acquired knowledge in simulation exercises which allows them to integrate it into their growing clinical knowledgebase. Medical simulation facilitates the learning of certain types of tasks, integrating medical knowledge, and demonstrating capability or competency across the spectrum from individual procedures to complex resuscitative management (3). (1) Thomas HA, Beeson MS, Binder LS, Brunett PH, Carter MA, Chisholm CD, McGee DL, Perina DG, Tocci MJ. The 2005 Model of the Clinical Practice of Emergency Medicine: The 2007 Update. Ann Emerg Med. 2008; 52:e1-e17. (2) Binstadt ES, Walls RM, White BA, Nadel ES, Takayesu JK, Barker TD, Nelson SJ, Pozner CN. A Comprehensive Medical Simulation Education Curriculum for Emergency Medicine Residents. Ann Emerg Med. 2007; 49:495-504. (3) Takayesu JK, Nadel ES, Bhatia K, Walls RM. Incorporating Simulation into a Residency Curriculum. CJEM. 2010 Jul;12(4):349-53. HAEMR has designed its curriculum to incorporate active learning methods that include seminar-based teaching, small group learning, mock oral board testing, and, most importantly, simulation-based education. 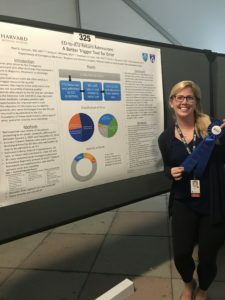 HAEMR uses a portfolio system that houses evaluations from faculty, peers, and nursing as well as resident procedure logs, academic projects, mentorship contacts, and self-reflections that support individual resident development. Residents meet individually with program directors semi-annually to review clinical, academic, and career growth and to provide mentorship. While our central goal is to train outstanding clinicians, the professional development process is structured to ensure residents are achieving the paramount milestones that will make them highly competitive in the academic and community job market. During their final year of training, residents are provided with one-on-one guidance to steer them through the job application and contract negotiation process. 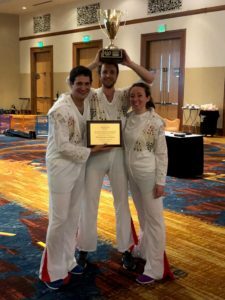 Residents are encouraged and fully supported to present research abstracts at the SAEM and ACEP research meetings as well as other regional/national research symposia. As many diverse opportunities are available for residents in clinical medicine, basic science and public health, numerous resident-authored manuscripts are published annually. Presentation of a longitudinal project is a requirement for graduation. We are also committed to providing ample time and guidance in the establishment of an academic focus to prepare residents for a future career in academia. 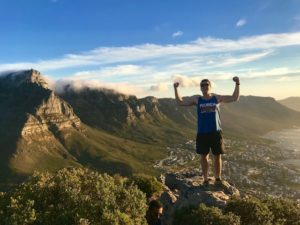 We provide over four months of uncommitted academic elective time during which residents may explore areas of potential academic interest at home or abroad starting in the PGY-2 year. 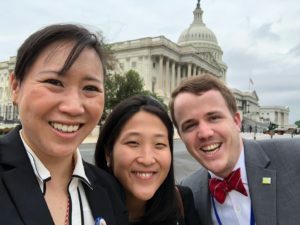 We provide funding to each resident to attend an academic emergency medicine conference during their final year of residency training as well as support residents to present their research at national emergency medicine conferences.